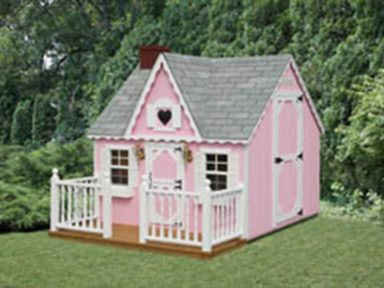 provides endless hours of fun and imagination for both girls and boys. 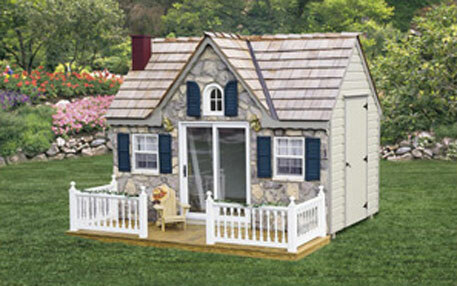 Some adults prefer their intricate appearance and versatility to that of a storage shed. 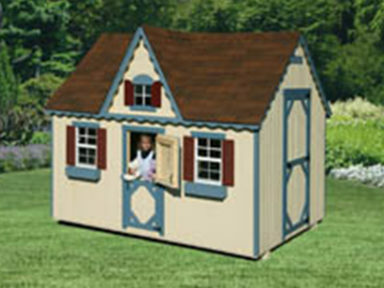 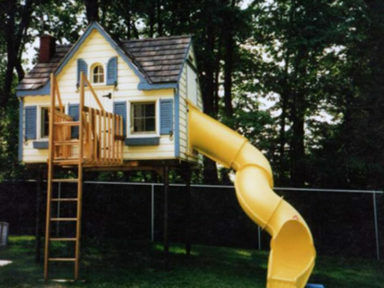 All playhouses are built to your individual needs.There are two price levels. 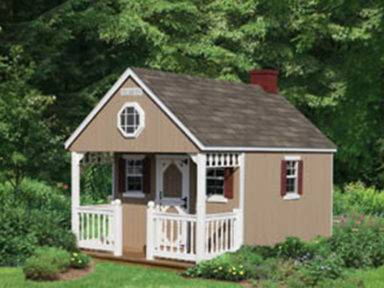 Our basic building, the Victorian is built with maintenance free T1-11 siding, plastic door trim, and asphalt shingled roof. 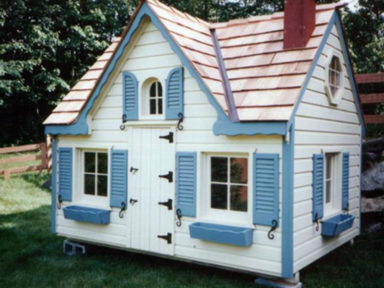 It also comes standard with an adult door, a Dutch child door, two opening windows with screens, shutters, two flower boxes, and a small decorative window above the children’s door. 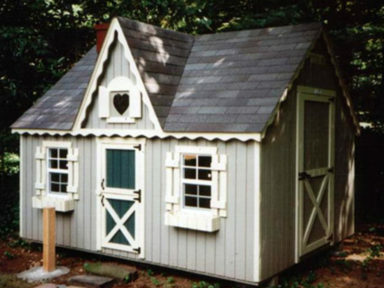 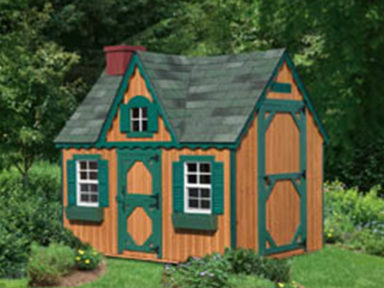 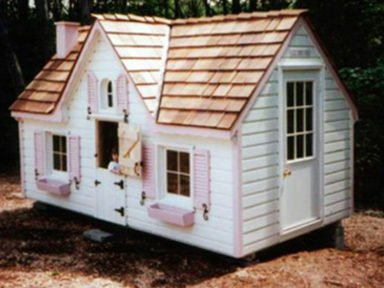 The ultimate playhouse comes with either German Pine siding or Horizontal LP siding, an adult door, a Dutch child door, shutters, two opening windows, a queen window above the children’s door, a chimney and a dimensional shingled roof, vinyl siding and cedar shakes are optional. 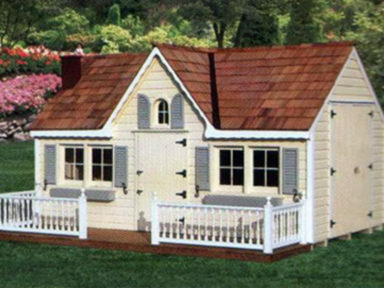 All buildings are either driven into your yard with a flat-bed truck or assembled on site for an additional fee. 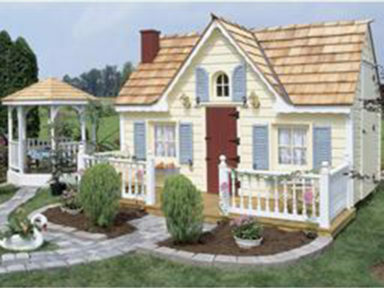 (See delivery) Setup and leveling on concrete blocks is also available for an additional fee.